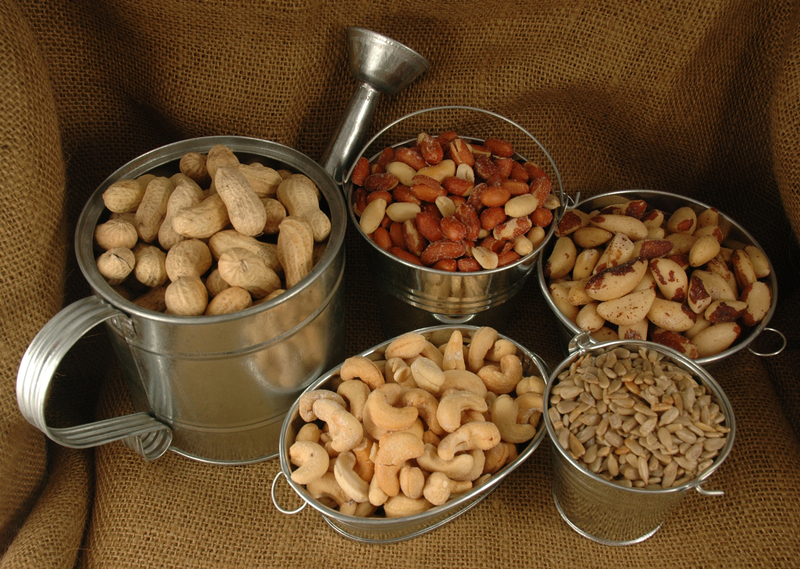 Scientific research is now showing that the nuts we once shunned because of their high fat and carbohydrate content are now considered a great source of vitamins, minerals and fiber, and are heart healthy! From almonds to sunflower seeds, we have them all, and most of our nuts are roasted fresh daily. Each type is available both salted and unsalted, and of course, and you can buy them raw as well. Please be sure to check out each page so that you don't miss any! Not quite a simple candy and still high in fiber and other nutrients, candied nuts are a great way to take care of your sweet tooth and at the same time add essential nutrients that you might not get from a candy bar. 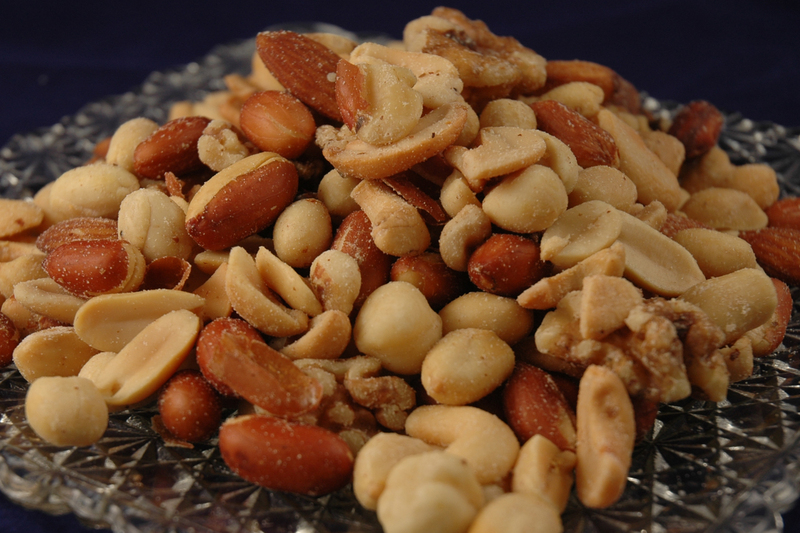 Take a look at all of the different candied nuts we offer. We are certain you will find something too enticing to resist. 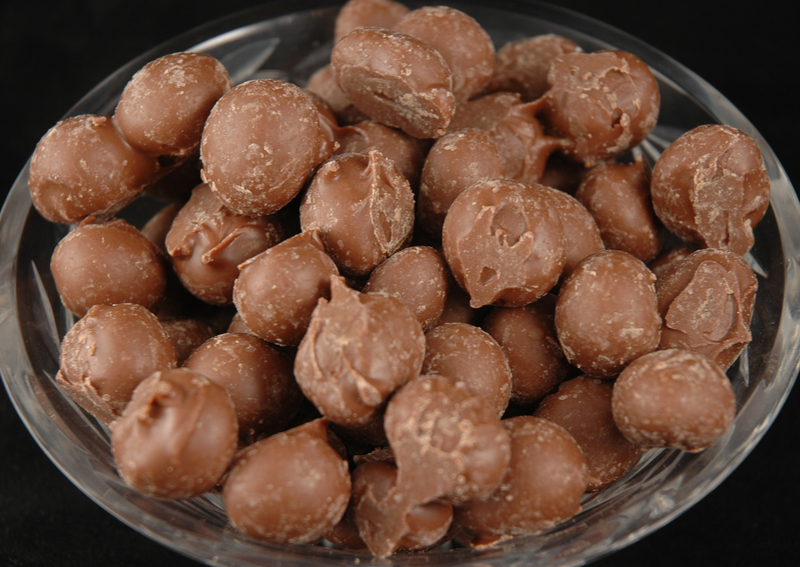 Our chocolate covered peanuts are double dipped in chocolate and are the biggest seller at the shop. 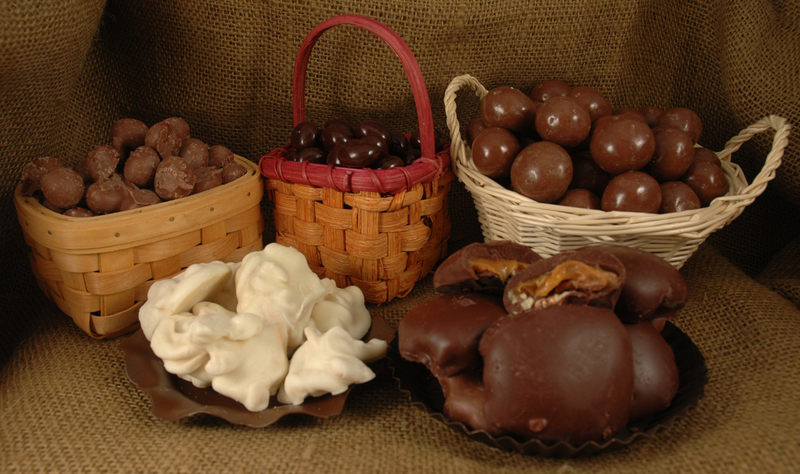 We have chocolates...chocolate covered nuts, turtles, and traditional chocolates that you will love. There is a quite a variety, so be sure to check out all of the pages and be patient, they sometimes take a while to download! * Please Note* Shipping chocolates during the warmer times of the year is at the customer's risk! We cannot guarantee that your product will not melt into a solid chocolate chunk of goodness. It will probably still taste good, but won't look as good, although it might provide a good excuse for eating it all at once...after all it was just one piece! Tins make the perfect gift for every occasion and can be personalized to hold that special treat that says you really care about the recipient. 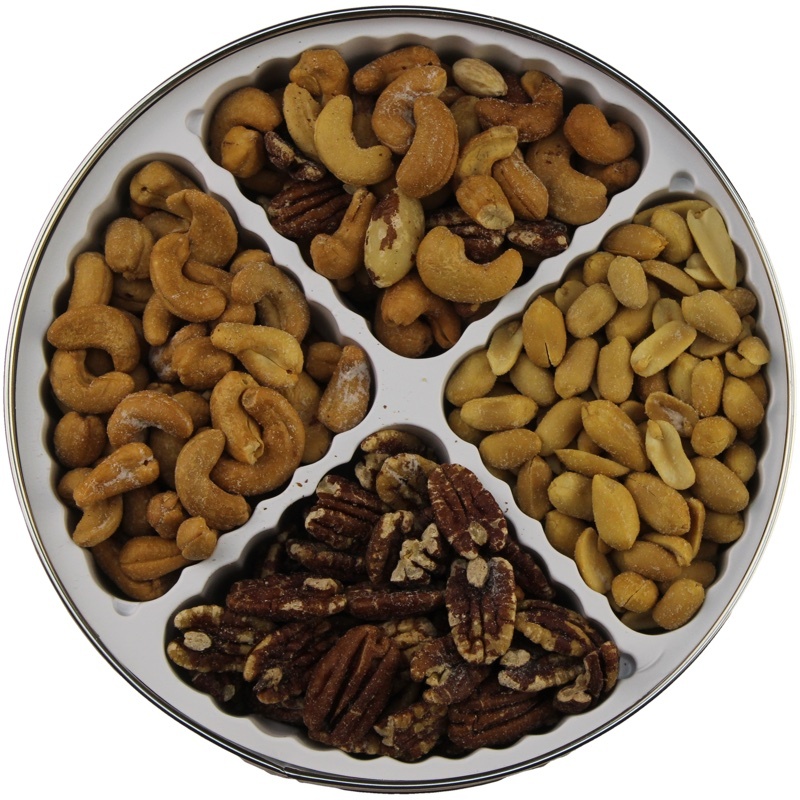 So when you want to give that special personalized present to a hostess, boss, employee, or family member, give them something they will certainly enjoy- a tin of fresh nuts and candies from The Peanut Shoppe.